Frozen permafrost soil is the perfect place for bacteria to remain alive for very long periods of time, perhaps as long as a million years. That means melting ice could potentially open a Pandora's box of diseases. "Permafrost is a very good preserver of microbes and viruses, because it is cold, there is no oxygen, and it is dark," says evolutionary biologist Jean-Michel Claverie at Aix-Marseille University in France. "Pathogenic viruses that can infect humans or animals might be preserved in old permafrost layers, including some that have caused global epidemics in the past." scientists managed to revive an 8-million-year-old bacterium that had been lying dormant in ice, beneath the surface of a glacier in the Beacon and Mullins valleys of Antarctica. In the same study, bacteria were also revived from ice that was over 100,000 years old. 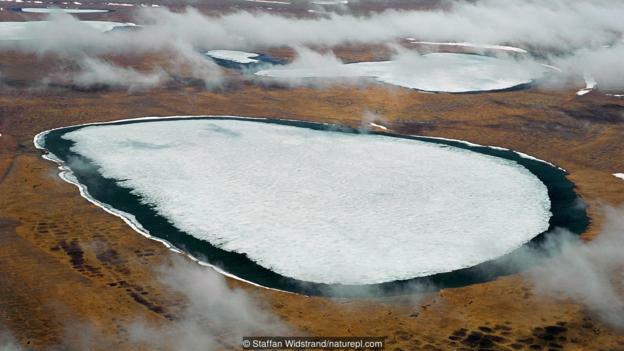 What's more, global warming does not have to directly melt permafrost to pose a threat. Because the Arctic sea ice is melting, the north shore of Siberia has become more easily accessible by sea. As a result, industrial exploitation, including mining for gold and minerals, and drilling for oil and natural gas, is now becoming profitable. "At the moment, these regions are deserted and the deep permafrost layers are left alone," says Claverie. "However, these ancient layers could be exposed by the digging involved in mining and drilling operations. If viable virions are still there, this could spell disaster." 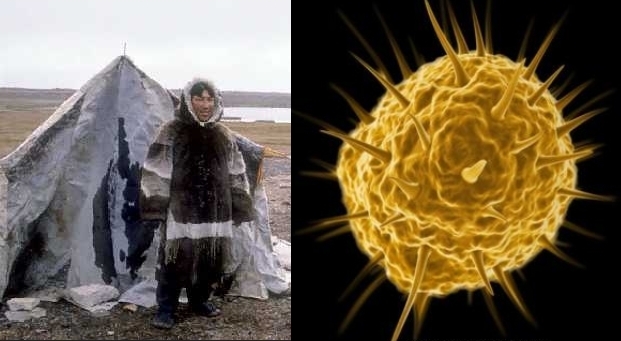 Responses to "Scientists warn arctic people: Diseases from millions of years ago are awakening because of melting ice"
That is very terrifying. These diseases could wipe out our Civilization. The People of the North are probably going to be the worst hit as they don't have any immune system built up. This is just the tip of the iceberg so to speak. With the winds so strong there & circulating the Earth we could be eliminated like the in the beginning of time. I pray this doesn't happen. thank you for reporting this. There is no way to stop this. Even if every coal mine and oil plant closed, earth cycles through time and we are bound to become extinct just like those cute little dinosaurs that came before us. Sad, but true.